I recently had the misfortune of buying the Motospeed CK62 (available on Aliexpress). It cost me 50 USD at the time of buying and was supposed to be my gateway in to the exotic world of 60% keyboards. 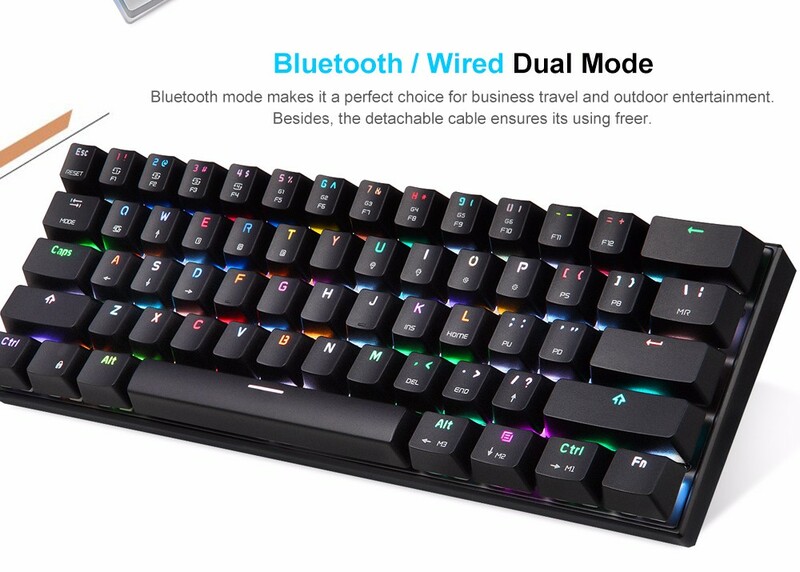 Looking at the features (Mechanical keyboard, RGB lighting, Bluetooth etc), this keyboard seems almost too good to be true. However, there’s one thing missing in this keyboard, COMMON SENSE! Let me explain how 60% keyboards normally work. To save space and reduce the number of keys on the keyboard (~60 instead of 104), many of the keys serve multiple functions via what is known as Layers which can be activated by pressing a special modifier key called the function key (Fn key). For example, it is normal in 60% keyboards to do away with the function keys and just have a row of keys for numbers. The function keys are on another “Layer” and to access them you press the Fn + 1. Similarly to access the up arrow key in a pinch, you press the Fn + W key. That’s how most 60% keyboards do it. This one however only allows access to the other layers by toggling them. How you ask? BY PRESSING THE FN+1 KEYS AND HOLDING FOR 5 SECONDS!!! To toggle it back, you press the keys and hold them again FOR 5 SECONDS!!! This renders the keyboard absolutely useless for pretty much all purposes. I don’t know who designed the firmware on this keyboard, but I bet there’s a special place in hell for people like her/him. If you want to try a 60% budget mechanical keyboard, I would recommend the Anne Pro 2. It is a bit more expensive but isn’t made by Satan himself. It has very good reviews on Youtube as well. tl;dr – DO NOT BUY THE MOTOSPEED CK62. PS: The CK61 isn’t as bad as the CK62 as in it toggles the layers as soon as you press the combinations, but it’s still a bad user experience as it only allows for toggling. It doesn’t allow you to simply use the modifier key to switch the layers. I would not recommend the motospeed CK61 either. Short Answer – change the name to be unique!